In a marketplace where the consumer is always “on,” a new generation of chief marketing officers (CMOs) is in demand. 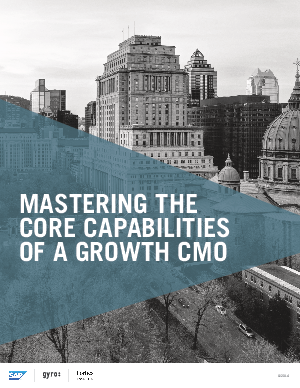 Defined as “growth CMOs,” these forward-thinking marketers challenge the way businesses traditionally build consumer relationships, evolving how their brands engage with customers and establishing greater loyalty through the use of data and technology. To drive organizational change and achieve successful results, growth CMOs focus on fostering five specific adaptive capabilities: technology, omnichannel, measurement, social connectivity, and talent.